When you consider Jewish law, history, and tradition, it’s not surprising that little “pies” of dough filled with vegetables, cheese, or meat are ubiquitous throughout the Jewish diaspora. The prohibition against cooking on Shabbat encouraged the preparation of foods that could be made in advance of the day of rest. Also, these little dough-encased packets of vegetables (sometimes meat if the budget allowed) could be cooked when time permitted and later served as a family meal or snack. In short, the dough pie is the ultimate Jewish finger food. In North America, we have been exposed to many permutations of this genre. Long ago, the popular Eastern European and Russian version, the potato knish, was a bite-sized morsel served as part of a Russian zakuski (appetizer plate) or at special events such as a bris, bar mitzvah, or wedding. Today we know it as a 4-inch-square pillow of dense, crusty dough with savory potato-onion filling. Another version, from Poland, is the piroshki (otherwise known as pierogen), boiled, baked, or fried dough with sweet (cheese or fruit) or savory (meat or sauerkraut and mushroom) filling. 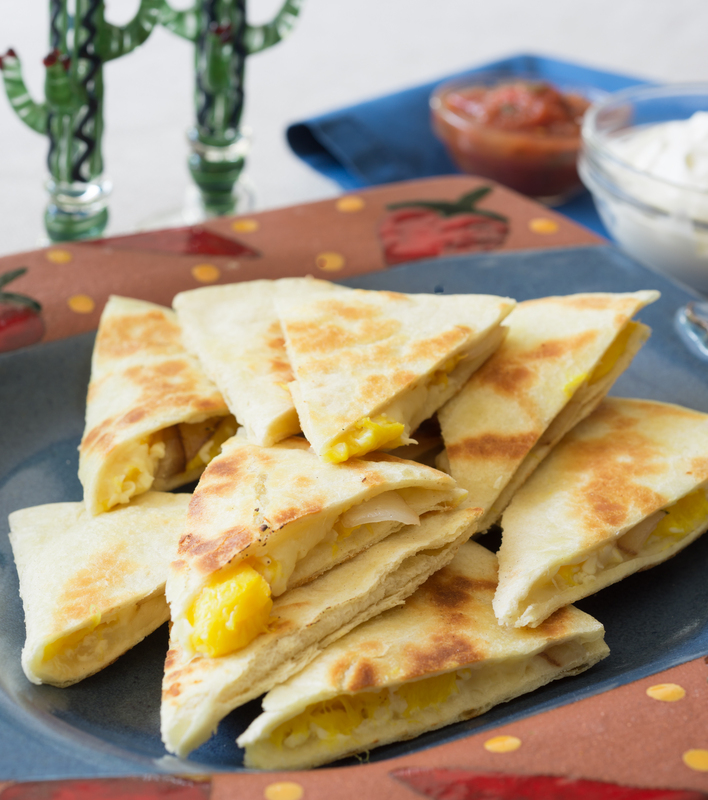 A 17th-century medieval custom created the kreplach (meat-filled triangles of dough) we know today. At Yom Kippur Jews from Germany would place their New Year’s wishes in a piece of dough to wear around their necks as an amulet. Eventually these amulets made their way into chicken broth, and it is now customary to serve kreplach on erev Yom Kippur. Sephardic Jews were also fond of filling dough with edible treats. 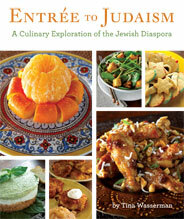 In Turkey, Jews created bolemas, savory pumpkin-filled ropes of yeast dough rolled into small coils and baked. Jews from Bulgaria and other parts of the Ottoman Empire enjoyed borekas, baked half moons of pastry dough packed with eggplant or potato and cheese; and Jews from Iraq stuffed fried yeast dough, called sambusak, with spicy meat or chickpeas. As you enjoy these delicacies—their preparation simplified with the use of modern cooking equipment—think back to our ancestors who lovingly made each dough pie by hand. And eat in good health! No family function at my grandmother’s house was without Grandma Gussie’s knishes, and you had to act fast or you got only one. Unfortunately, the recipe for her signature soft patties of potato dough with fried onions encased in the center was passed on to us in a rather imprecise oral tradition: “a bissel” (little) of this and “a shiterein” (throw in a handful) of that. Finally, one day I came across a recipe that reminded me of Grandma’s knishes, close enough with a little tweaking to pass down to the next generation as Grandma Gussie’s culinary inheritance. Mix the potatoes, eggs, flour or matzah meal, pepper, and 2 teaspoons of salt to form a smooth but slightly sticky dough. Set aside for 20 minutes while you fry the onions. Heat a 10-inch skillet over high heat for 20 seconds. Add the oil or chicken fat and heat for another 10 seconds, turning down the heat if the oil begins to smoke. Add the onions and sauté until they’re dark golden brown (but not burnt). Remove from the heat and stir in the remaining teaspoon of salt. Using flour or matzah meal, heavily flour your work surface and your hands. Using your fingertips, flatten 1 tablespoon of dough in your palm or on the work surface until you’ve created a 2- to 3-inch circle. If the dough is very sticky, roll in more matzah meal or flour. Place a little less than a teaspoon of the onion mixture in the center of the circle, then fold the dough edges over the filling to meet in the center, thereby creating a smaller, slightly flattened, filled circle of dough. Place the formed knish on a floured plate for up to 15 minutes (any longer, it will get soggy) while you shape the remaining knishes. To fry, heat a pan for about 20 seconds. Add oil to a depth of 1⁄4 inch and heat for 15 more seconds. Placing the knish seam side (the side where the dough comes together) down in the hot oil, cook over moderate heat for about 5 minutes, until it’s golden brown. Then, flip the knish over and fry for about two minutes, until the other side is golden. With a slotted spatula place the knish on paper towels to drain. Let cool for about a minute, and serve all of the knishes as soon as they are not too hot to handle. Yield: 2–3 dozen. Matzah meal acts like a sponge, absorbing excess moisture in dough. To allow for this, any dough or meat mixture containing matzah meal must rest for 15–20 minutes before using. Hungarians were fond of making dough containing rich ingredients such as cheese and butter. These mushroom turnovers in a rugelach-like dough are so savory, you won’t miss the nuts, raisins, and sugar! Cream the four ounces of butter and cream cheese in a mixer at high speed until they’re well combined, light, and fluffy. Sprinkle the salt evenly over the mixture, then add the flour. Mix on medium speed only until the flour is incorporated and the mixture just begins to hold together. Divide the dough into 4 equal pieces. Roll each piece into a ball and flatten to 1 inch. Refrigerate for 20–30 minutes. Sauté the onion in the 4 tablespoons of butter until it’s lightly golden. Wash the mushrooms and pat dry. Place them in a food processor and pulse on and off until they become uniformly small, fine pieces. Alternatively, finely mince the mushrooms. Add the mushrooms to the onions. Sauté for approximately 5–7 minutes until the mushrooms give up their juices and begin to look dry. Add the seasonings and the sherry. Roll a ball of dough 1⁄8-inch thick on a lightly floured surface and cut into approximately six 2-inch circles. Place a teaspoon of mushroom sherry filling in the center of each circle. Dip your finger in water and brush the edges of each circle with it. Fold the circle in half. Pinch the edges together and use the tines of a fork to crimp them. Place on an ungreased cookie sheet. Follow the same procedure with the rest of the dough. Brush the egg yolk glaze onto the tops of the turnovers. Sprinkle with sesame seeds. Bake at 400°F for about 15 minutes, until light and golden. Serve hot. Yield: 2 dozen turnovers. Water is good for sealing dough that has a high flour content and is going to be baked. It helps “glue” the edges together. 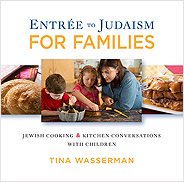 Tina D. Wasserman, a member of Temple Emanu-El in Dallas, is the author of the new URJ Press book, Entree to Judaism, from which this column is adapted. 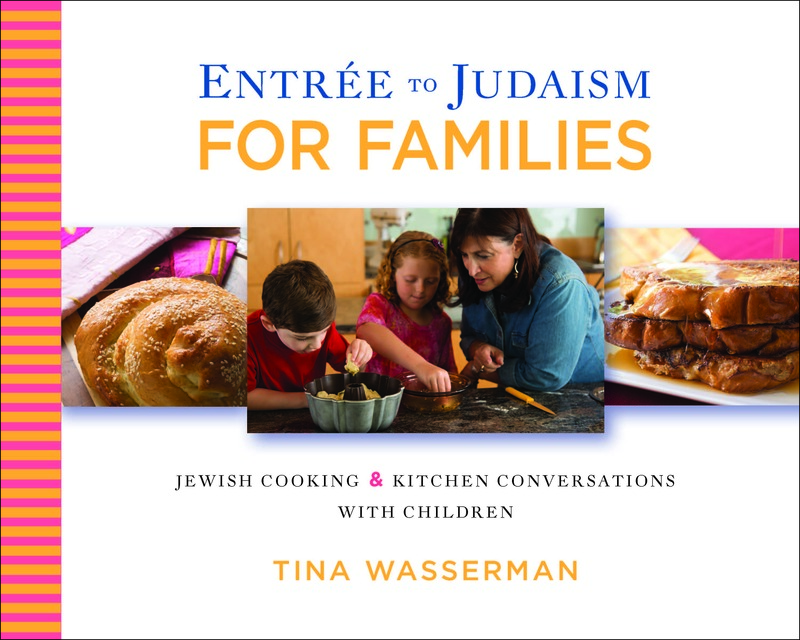 She also teaches at her own cooking school, writes a kosher cooking newsletter on the Internet, and serves as a culinary scholar-in-residence throughout the U.S.